A lot has changed since I first certified as an EMT. Not only has CPR protocol changed dramatically but so has how and when a tourniquet is used. Proper care of a traumatic injury takes the right information, training and tools. As knowledge increases the equipment and procedures need to change. Those of you who carry a conceal weapon should also be trained in how you would care for the individual against whom you are compelled to use force. Without getting into this topic further, it's just the right thing to do. Knowing how to address traumatic injuries is probably the most critical knowledge of first-aid you can have. 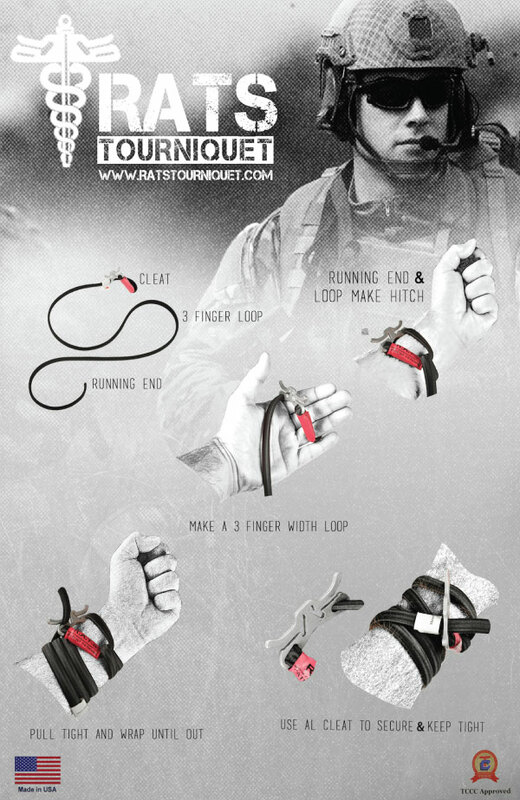 This new tourniquet is the perfect example of an increase of knowledge in emergency medicine and improvement of the gear. As explained to me by Jeff Kirkham, the inventor of the R.A.T.S. tourniquet, there have been many misconceptions about the use of tourniquets that have been proven wrong. The facts are that in the case of severe blood loss the first course of action should be to apply a tourniquet, not the last. As I am not a medical professional this is where I will stop. Take the time to read the article and search out other means and medical professionals and learn how and when to properly apply a tourniquet. After reviewing some of the other tourniquets on the market it is my humble opinion that the R.A.T.S. tourniquet is the most versatile, most effective, fastest and easiest tourniquet to apply, even on yourself. Add these to your medical kits, jump kits and bug-out bags. Recently, MyMedic, previously known as MinutemanRX, has begun to add this tourniquet to their medical kits in place of the ones they had been supplying previously. This says a lot to me. MyMedic.us builds the best kits that I have ever laid my hands on. Check them out too. 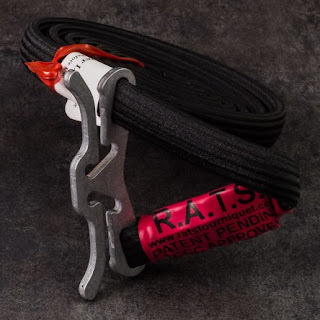 Visit http://ratstourniquet.com/ for more information and to order a few for yourself. Thanks for the very kind words and great article!!! It is clear to me that you deserve every bit of recognition that comes your way Jeff. This will save lives!